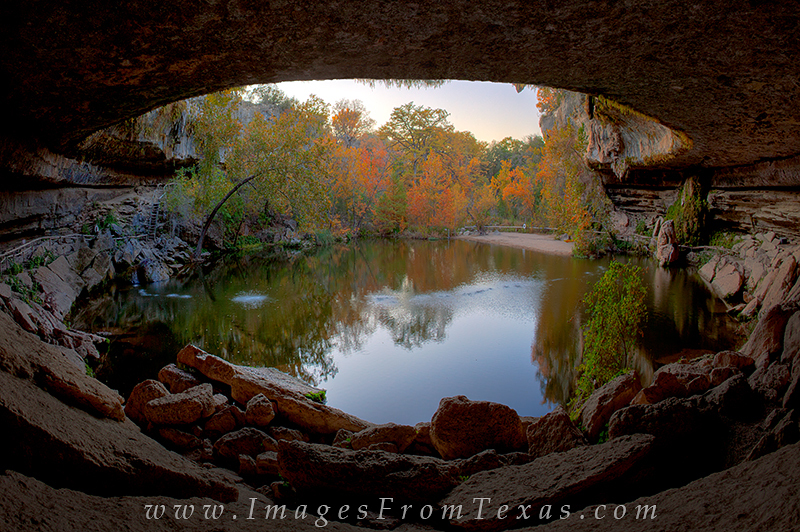 Autumn Colors are amazing at Hamilton Pool in the Texas Hill Country. This image was taken looking out from inside the grotto. Photo © copyright by Rob Greebon.